He thinks there is a minimal risk of serious economic problems in China in the next few years. Yusko says the biased reporting of American and European media has created major misperceptions about China on Wall Street and among the general public. 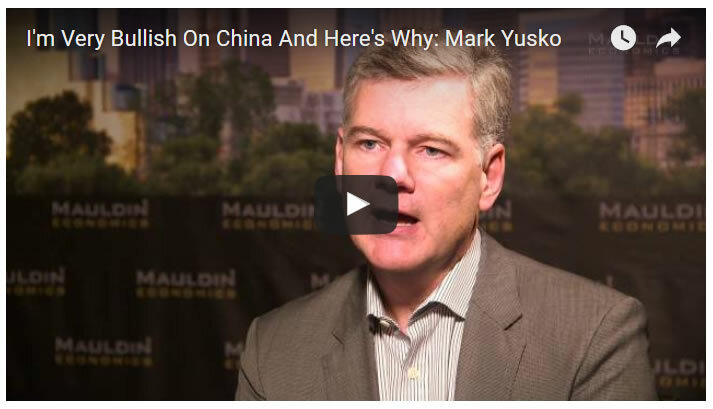 According to Yusko, the Chinese government has recently had to take a number of steps to rein in corruption and minimize asset bubbles, and this does have short-term macroeconomic consequences. He believes the Western media is doing its best to make a mountain out of what is really no more than a mid-size molehill. Of interest, Yusko also suggests that while Chinese stock markets are cheap, his firm focuses more on investments in private Chinese companies. That allows them to vet the management more thoroughly, which significantly reduces the risk of fraud or corruption. Chinese policymakers are taking a long-term perspective. Yusko thinks their primary long-term goal is turning the renminbi into a global reserve currency. 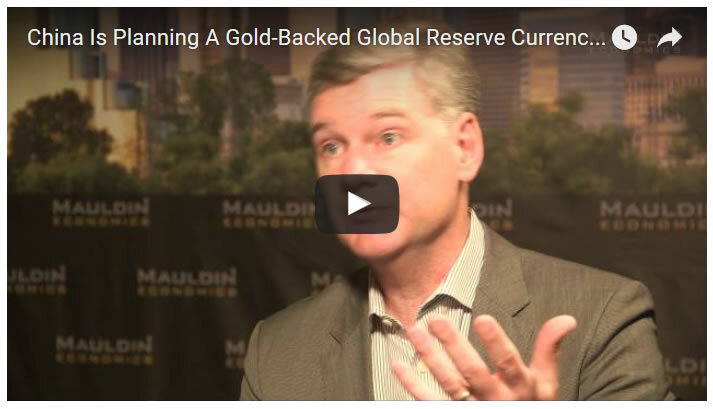 He goes on to say Chinese government is looking to gold to help stabilize the renminbi and create a global reserve currency to compete with and eventually even supplant the US dollar. Yusko, therefore, thinks that worries about a large-scale devaluation of the Chinese currency in the near future are misplaced. He believes that the Chinese government will eventually set up a stable, “safe” currency system where the renminbi is around one-third backed by gold. He also points to the fact the Chinese are now true global market makers for the gold market as the government has finally authorized the pricing of gold in renminbi. China has always been a conundrum. Whether you are in the “hard-landing” camp with Bass and Soros, or agree with Yusko that the Middle Kingdom will “muddle on through,” it is clear that the next year or two is a crucial transition period for the Chinese economy. We’ll soon know if conservative economic policy and all the gold China has been hoarding will be enough to make the transition without a major hiccup.